Australian Paralympic swimmer David Rolfe passed away last night as a result of complications following three heart surgeries over the past year. 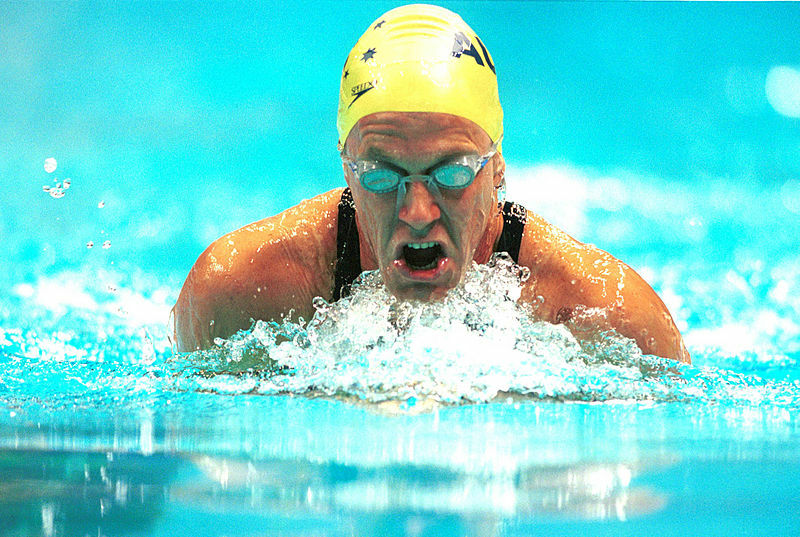 The 50-year-old was a bronze medallist for Australia at the Sydney 2000 Paralympic Games, finishing third in the men's 4x100 metre medley. Despite his success in the pool, Rolfe turned away from swimming in later years, focusing on his first love in sport - canoeing and kayaking. As well as competing on the international stage for his home nation, Rolfe was also a huge advocate for the sport's inclusion at Paralympic Games and was a key figure for Para-canoe when it was added to the Paralympic programme in 2010, with its debut due next year at Rio 2016. "Kayaking was always my sport," Rolfe told the International Canoe Federation in 2010. "I had been water rafting and white water kayaking before my accident but because kayaking wasn't anywhere near Paralympic status then, I took up swimming which was the only other water sport in the programme." Rolfe's Paralympic journey began in 1993 while recovering in hospital after losing a leg in a car accident. He saw on the television that Sydney had been awarded the 2000 Paralympic Games and resolved to be part of the Australian Paralympic Team. "From day one I was always trying for the Games, and after seven years' hard work, I made it," he told the Western Advocate newspaper in 2000. As well as helping his team to bronze, Rolfe, as an older member of the squad, also played an important role helping his teammates. Sydney 2000 gold medallist Priya Cooper recalled how "David Rolfe - or Rolfie as he was known to his Paralympic mates - really united our swim team in 2000 and was always there to mentor a younger swimmer". Brendan Flynn was chief executive of the Australian Paralympic Committee during the 2000 Games. He is now Director of the Sports Super Centre on the Gold Coast, where Rolfe had been an employee for several years, and regularly met Rolfe on his early morning walks. "Rolfie was a huge believer in living life to its fullest," he said. "He enjoyed a chat, and loved living on the Gold Coast, where he walked his beloved dog or rode his bike with his dog running next to him, then continued his passion of kayaking for hours at a time." Born in Inverell, New South Wales on June 26, 1964, Rolfe later moved to Gold Coast, Queensland. He is survived by his wife and adult child.